The Finger Tightans test out their new robot. Photo by Sam McIntosh. 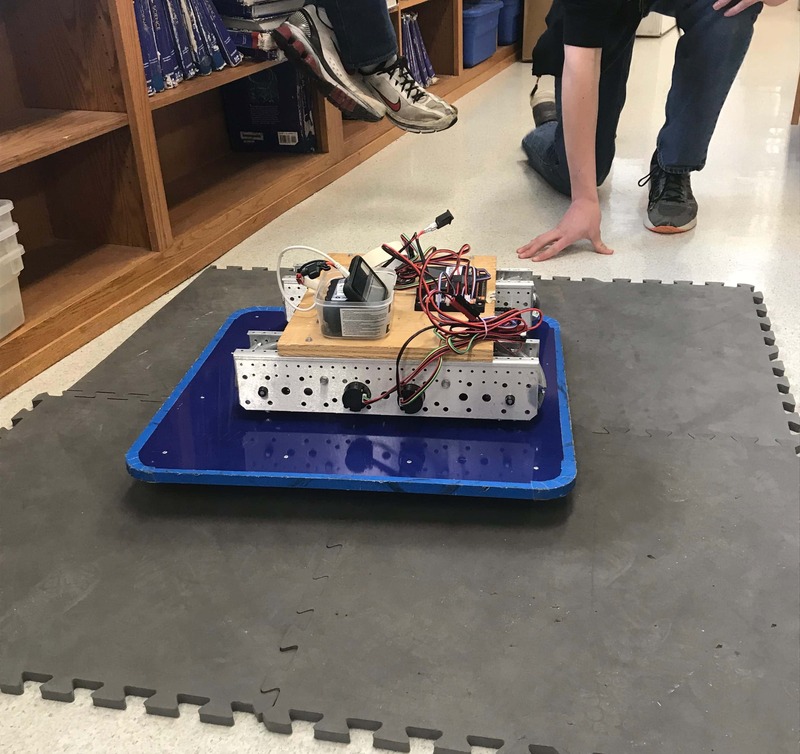 The Finger Tightans Highland Robotics team is busier than ever preparing for the trip to compete at the FIRST Tech Challenge World Championship in Detroit, Michigan. The FIRST Championship is April 25-28. The Finger Tightans are working on raising about $6,000 for hotel, transportation, and other costs to get to Detroit. The team is asking donations be sent to the high school, and Superintendent Dr. Mike Jorgensen has said he will match up to $500 in donations. Please make checks out to Highland Robotics.